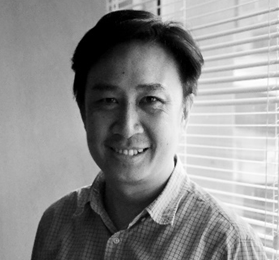 Conference topic: "The Impact of GBI to the Sustainable Built Environment"
Ar Michael Ching is a Director of CH&I Architecture Sdn Bhd and BGreen Design Sdn Bhd, both established in 2010. He is a professional architect, a member of Green Building Index (GBI) Technical Committee and a board member of the Malaysia Green Building Confederation (MGBC). He obtained his Bachelor of Arts (Architecture) from Deakin University, Australis and subsequent Bachelor of Architecture from University of Malaya. He has been practicing for 17 years with active interest in the area of sustainability and had received a Silver Award from My Dream home 2011 – Green Home Category, jointly organised by Haven (The Edge), PAM and IPDM. In 2011, he was also recognised as one of the top 30 Under 40 Emerging Architect in Malaysia.